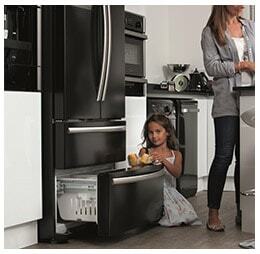 How big does your fridge need to be? 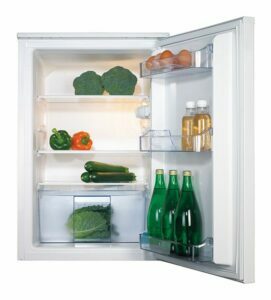 Choosing a fridge and/or freezer can be overwhelming, with so much choice available for size and capacity. The perfect model for you depends on what you use it for. We would recommend that before choosing your new model, you make a note of how many times a week you fill the fridge, what you are using it for and how often you dive into the freezer for the ingredients to a meal. What does ‘gross’ and ‘net’ mean when it comes to storage? The storage capacity on CDA refrigeration models is measured in litres. You will see two measurements in the model specification; ‘gross’ and ‘net’. 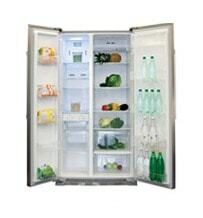 The gross capacity is the total volume of the refrigerated space. The net capacity is the total volume of refrigerated space available to store food & drink, once the structural features of your appliance have been taken into account. 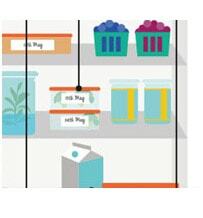 These include things like shelves, bottle racks, dairy compartments and humidity doors. 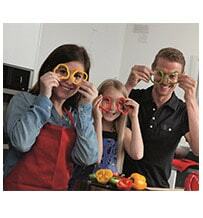 What’s right for your household? 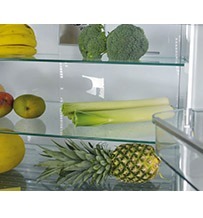 If you are a ‘little and often’ shopper, an undercounter fridge or combination fridge freezer might be all you need to keep salads, meat and vegetables on hand for cooking. For those with large families you cannot get better than an American style fridge freezer to keep stocked up on 6 pint bottles of milk, endless mini yoghurts and the wine you will need when they are all in bed. Professionals might prefer a smaller fridge and separate wine cooler whilst different kitchens are suited better to either integrated or freestanding models. As you would imagine, the capacity or storage space available in your fridge depends on the size, style and layout that you go for. 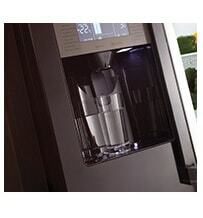 An American style model for example will, on average, boast a capacity of between 300 & 600 litres. Next on the size scale is the traditional freestanding fridge freezer, with an average capacity of between 200 & 300 Litres. The most difficult models to generalise are the integrated models because the options are so varied and flexible, including small under counter models with just 100 Litres of usable capacity to full height larder models with an internal capacity of 200 Litres. Take a look at our capacity infographic guide here. 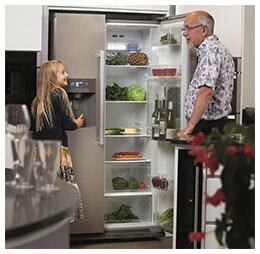 On our combination fridge freezer models you can choose between whether you would prefer a 50/50 split between fridge and freezer space or a 70/30 split to create more fresh food storage in your home. We have carefully included a range of size options to best suit everyone’s personal requirements. 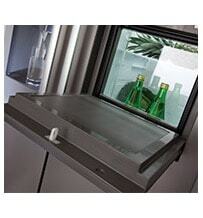 There will always be less space in the freezer due to the thickness of the insulating walls and internal furniture such as drawers or specialist compartments and ice makers. 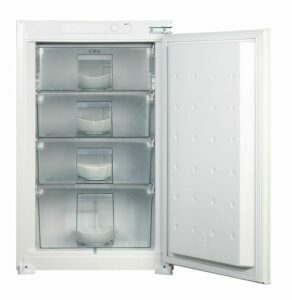 A standard American style side by side model has around 200 Litres of freezer space. The freestanding combination models have a freezer capacity of approximately 100 Litres and the integrated models vary from 100 Litres to over 200 Litres on the full height models.